to one lucky chess festival participant. 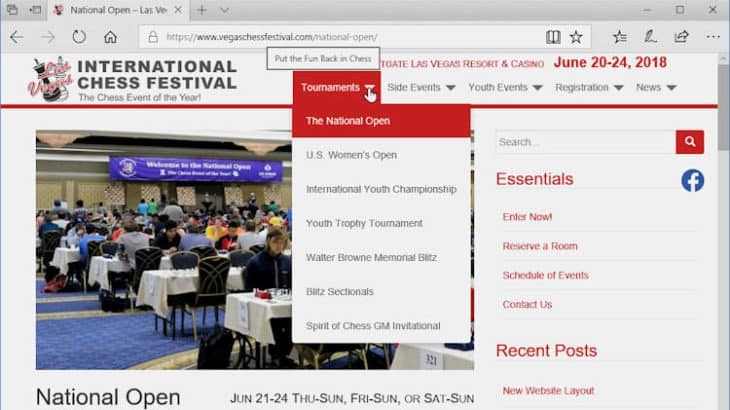 The only restriction is that you cannot register for an under section in the National Open without a USCF ID. You will be warned that you need to join before the tournament, but the registration will be accepted. If you have a FIDE or other National Rating you will need to enter the Open or Under 2300 section and send us an email asking to move to the correct section. I see that the instructions for doing this were lost in the redesign. Thanks for pointing it out. We hope to improve this soon.